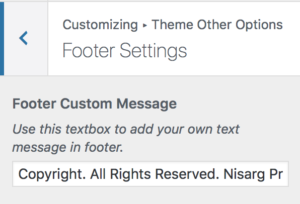 Welcome to the Nisarg PRO theme documentation. 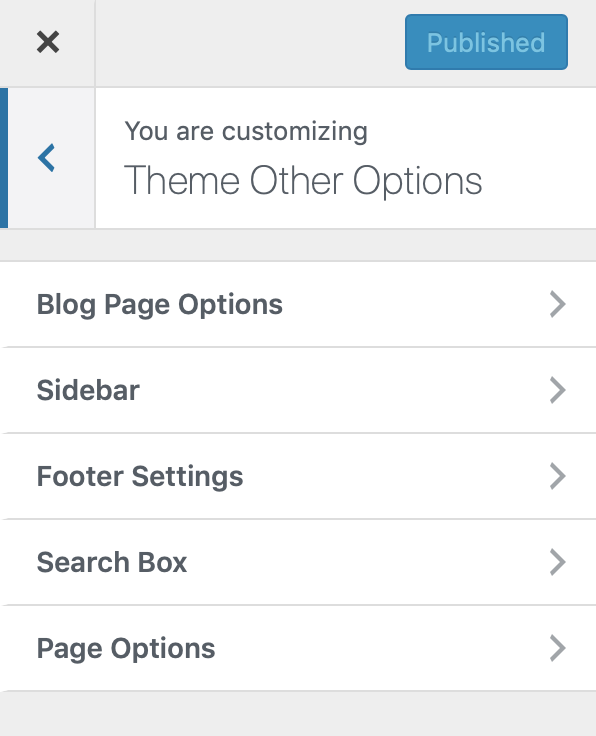 These instructions briefly explain how to setup and configure all theme features. 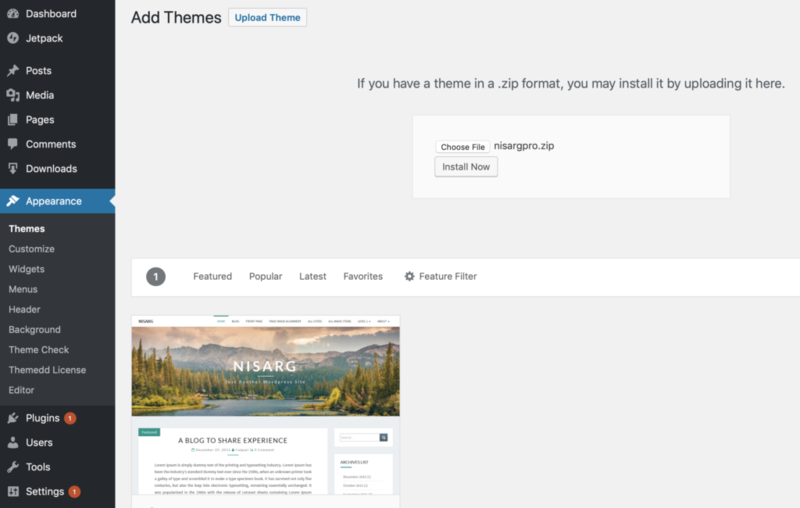 Use the Upload link in the top links row to upload a zipped copy of the Nisarg PRO(nisargpro.zip) theme that you have previously downloaded to your machine. Once the zip file gets uploaded to your website, click on Activate link to activate the theme. 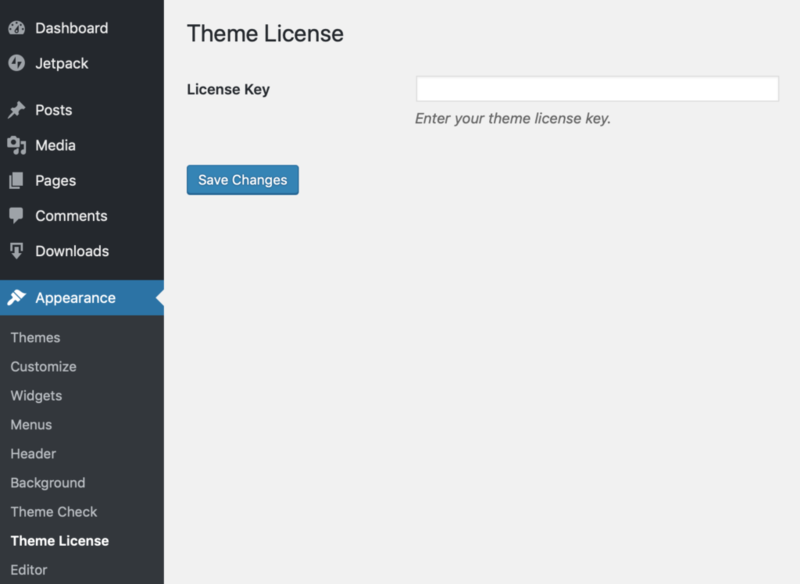 Go to Appearance > Theme license. Paste your license key in the textbox. Save and activate license key and you’re done. Go to Dashboard > Appearance > Customize > Typography. Select font family of your choice for body text and headings from the dropdown selectors Body Font Family and Heading Font Family respectively. If font of your choice is not present in the font family dropdown selectors, you can add other google font of your choice. 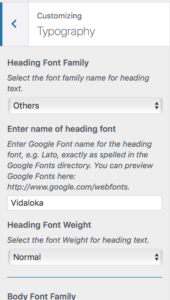 To add other google font, select Others in dropdown selector and add google font name in the following textbox. Enter Google Font name for the body/heading font, e.g. Source Sans Pro, exactly as spelled in the Google Fonts directory. You can preview Google Fonts here: Google Web Fonts. 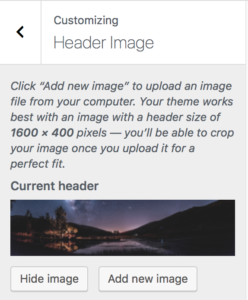 Set your desired image for header elements. Set your desired image for website background. Blog page options section has many blog customization options to choose from. 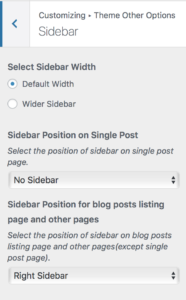 User can select blog post listing style as Classic or Masonry. It also has an option to display full posts on the post listing page or only post excerpt. User can also set post excerpt length, hide/show post meta like date, author name and comments link. User also has an option to hide or show archive page title and category/tag description. This section also has an option to hide site header image on single post page. The theme supports posts formats like Standard, Image, Video, Gallery, Audio, Quote, Link, Status and Aside You will see all post formats listed in the right sidebar of post editor. Select any of these to change a post to a specific post format, or just leave it as “Standard”. Video: A post that has one, or several, videos can be set to post format Video. 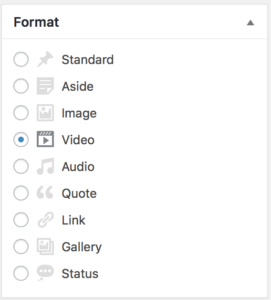 In video post format, video will be displayed instead of post’s featured image on blog page/post listing page. Audio: A post that has an audio file or playlist. In audio post format, audio will be displayed instead of post featured image on posts listing page. Quote: To display a quoted block of text with attribution to a quote’s author, a post can be set to Quote format. Please enclose your quotes inside quotation mark using (“) button in the post editor to display quotes in its special styling. Gallery: If post contains Image Gallery, the post can be set to Gallery post format. 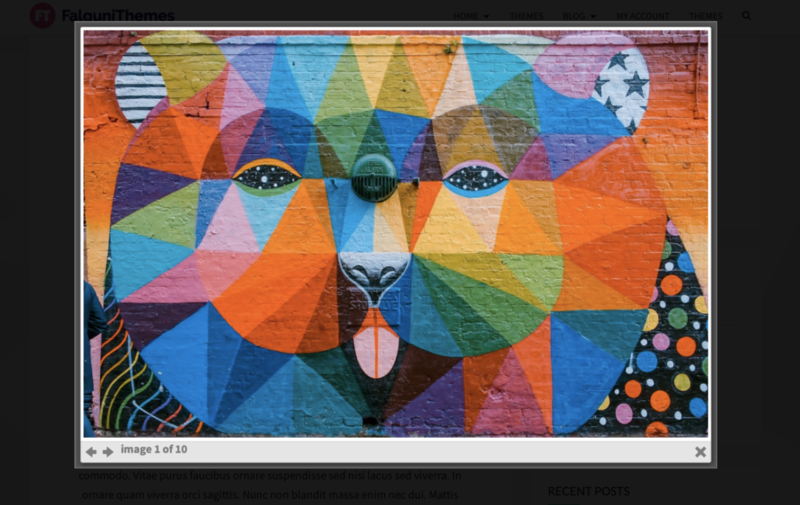 In a Gallery post format, all images attached to the post as well as images of post gallery are displayed as grid of images in place of featured image on a blog/post listing page. When any image in image gallery is clicked, Nisarg PRO allows images of gallery to be displayed in Lightbox. 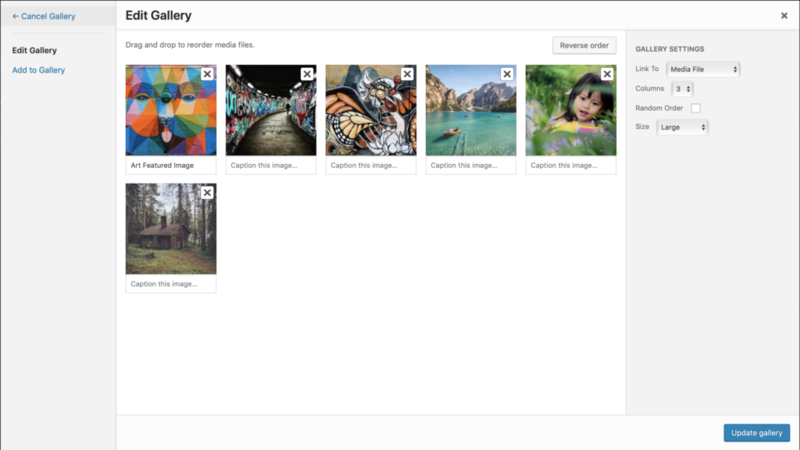 To display images in Lightbox, while creating an image gallery, set “Linked To” attribute of Gallery Settings to “Media File” as shown in image below. image – In image post format, only the featured image will appear with post caption and post meta data will be displayed over the featured image. Go to Pages menu in WordPress dashboard. Open the desired page in page editor. 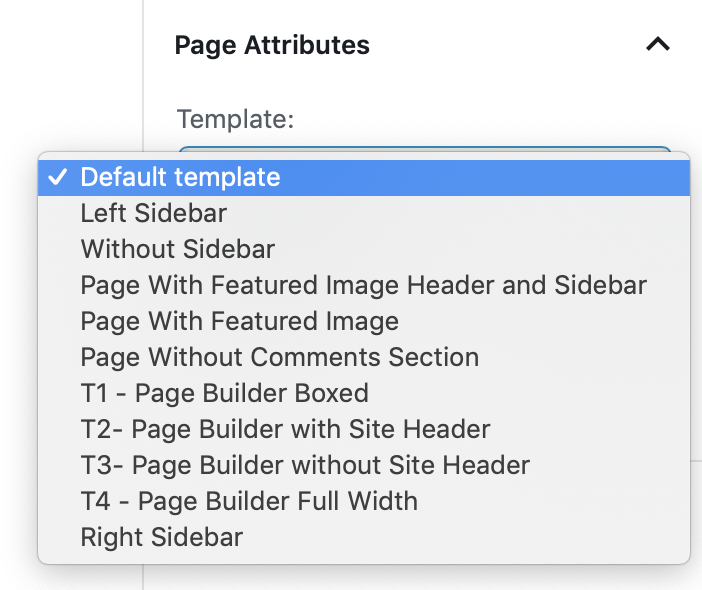 Go to Page Attributes section of the page editor and click on the Template drop down menu. 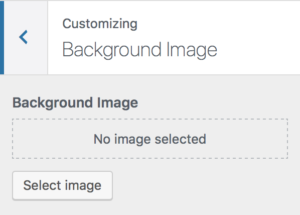 Select the desired page template from the available choice. 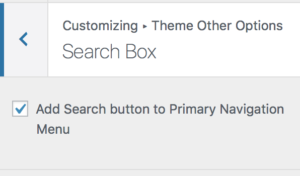 Go to Posts menu in WordPress dashboard. Open the desired post in post editor. 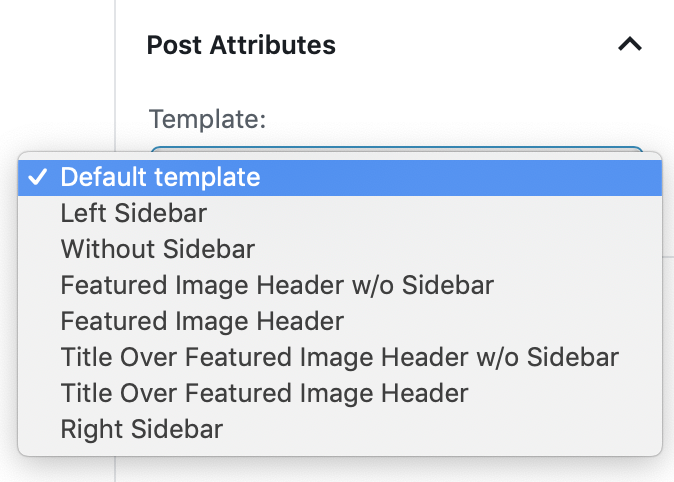 Go to Post Attributes section of the post editor and click on the Template drop down menu. Select the desired page template from the available choice.